Phew! I am finally done going through all the links! Sorry it has taken me so long! Thank you all for linking up!! I love going through all of your links but it is getting harder and harder for me to go through all the links in one night so I may have to change things up a bit and either change the day I do features or how I do features in general. I love visiting all of you so just bare with me while I figure all this out! Thanks!! But onto this weeks features! Dandelions and Dust Bunnies share her display pedestal. So cute! 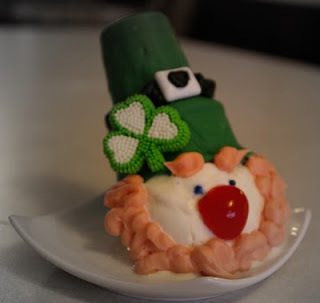 Isn't this ice cream cone leprechaun just the cutest? 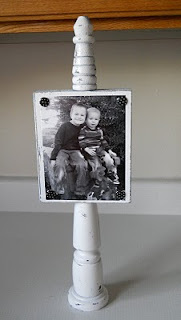 Find out how to make him at Sun Scholars. Rhinestone Beagle shared her reusable snack baggie. Great idea! Girl in Air created this awesome tree bookshelf! Craft Couture created this beautiful wreath. Perfect for Spring. Running with Glitter shared her Rainbow Cupcakes. Can I have one... please?! 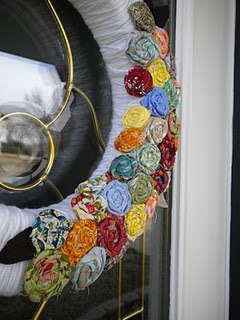 Colorful Rosette Spring Wreath from Easy Peasy Lemon Squeezy. So cute! 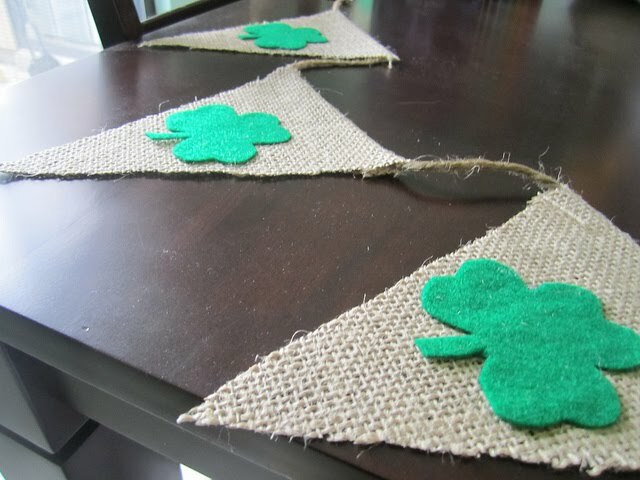 California Callahans shared her fantastic St. Patty's Day banner. Cute yet simple! 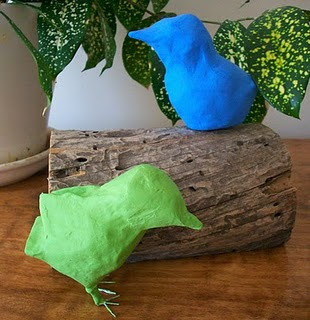 Turning a House into a Home shared her ADORABLE paper mache' birds. LOVE! I know I will because we finally get to go pick up our new Terrain!! YAHOO!!! I'm so excited to finally bring this bad boy home! :) Took long enough to get here. So Hope you have a wonderful, sunny weekend! What fun projects. Thanks for the shout out. 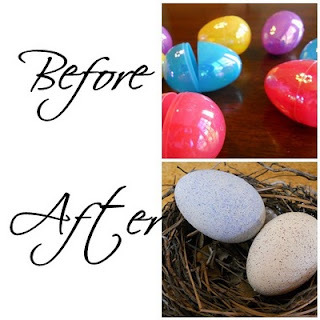 Those eggs are cute! Great features! Thanks so much for featuring my birds! There were many fabulous link ups this week!